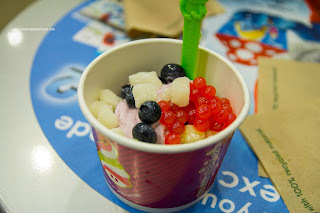 So after our meal at Sushi Oyama, Gordo, Milhouse, Apu and I made our way out to Highgate for some froyo action. 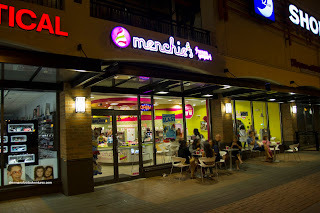 The girls decided to ditch us and head out for some more substantial desserts. Huh??? Anyways, the place was pretty busy with people scurrying around adding various toppings to their 1 of 14 froyo options including low fat. 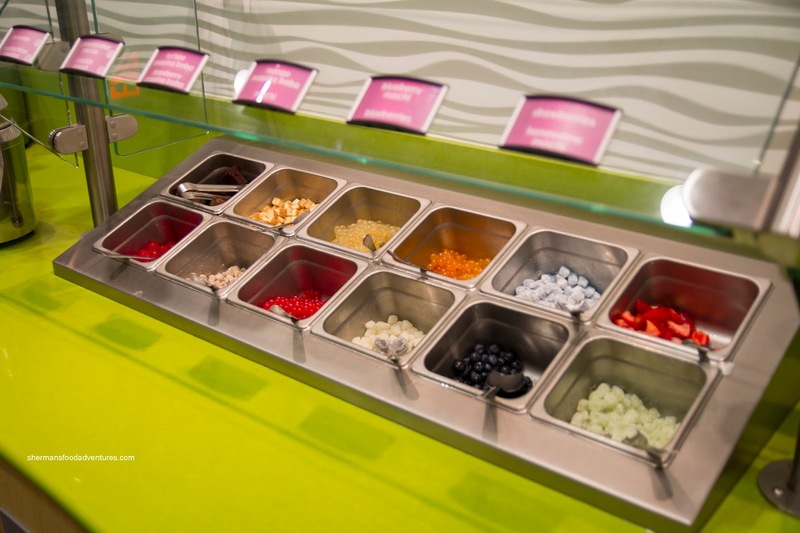 In terms of toppings, Menchies has the market cornered in this town as Pinkberry and Qoola don't come close. 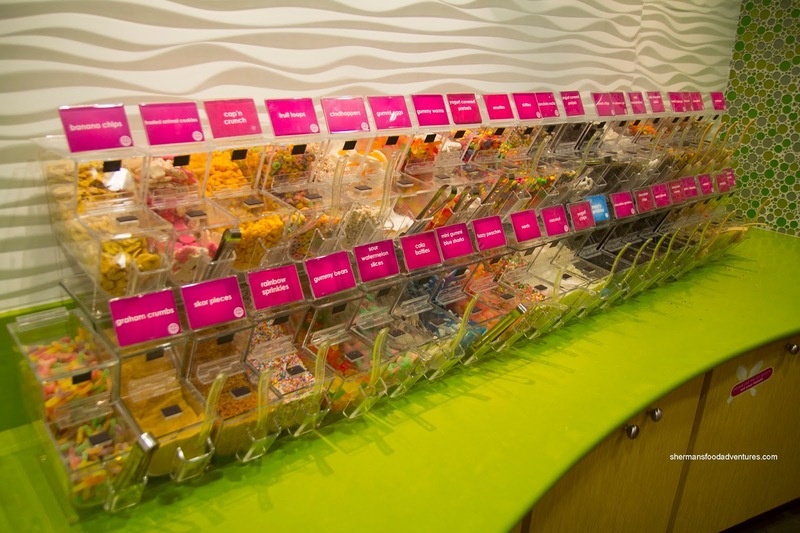 However, many people don't remember that the price is based on weight, so if you're not careful, you'll be enjoying a $10.00+ froyo. For myself, I went for the low fat Blueberry Cheesecake which was pretty smooth and tasty despite the supposed healthiness of it all. I added my favourite toppings which included mochi and those juicy pearls with a bit of blueberry to complete the theme. I was able to keep it around $5.00 which kept me satisfied in terms of eating. 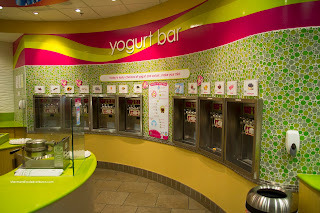 In terms of comparing it with Qoola and Pinkberry, there is not a significant different in my opinion. 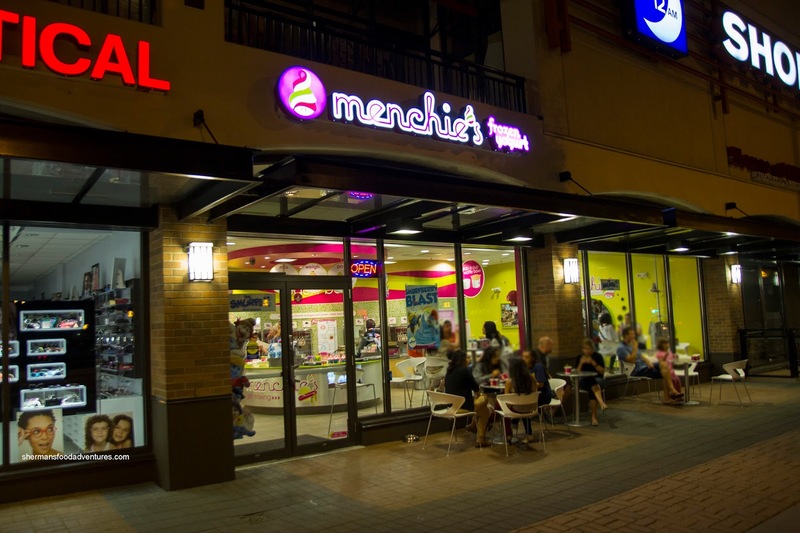 However, Menchies has the most choice, which may influence the final decision.